October brings cooler weather, fun fall activities and a new theme for America’s Energy Link: safety and security. 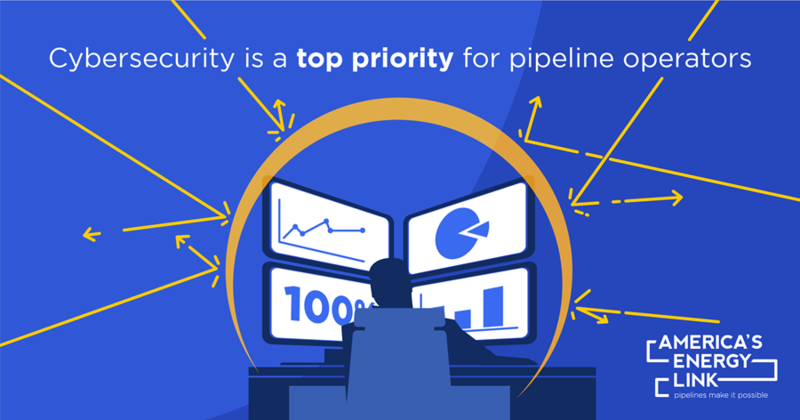 This month, we will focus on cybersecurity and the concrete steps the natural gas pipeline industry is taking to defend against cyber-attacks. As we enter this new quarter, we will also be taking a new approach to our content. We are asking our members to think about people at their companies that live out safety every day and that have important jobs related to pipeline and employee safety. We hope you will consider providing us with blog posts, videos or social media graphics, featuring your employees! Please reach out to me, clandry@ingaa.org, with ideas and content suggestions! Be sure to check out our shortened video clips from the introductory America's Energy Link video. You'll find one of these clips, alongside some suggested commentary, included with this email. We are grateful for your ongoing support of INGAA, the INGAA Foundation and America’s Energy Link. If you have content or theme suggestions, please reach out to us! Remember to check INGAA’s Facebook, Twitter and LinkedIn pages often, and feel free to share our America’s Energy Link messages and website with your co-workers, family and friends.